The decision to buy a home is a big step. It's a major commitment with a lot of money involved and one that will literally set the stage for your life for years to come. How long does it take to purchase a home? That depends on how much of a hurry you're in and how well you know what you want. It usually takes 4-6 weeks to process a mortgage application and close the sale once your offer is accepted, so add in the time spent shopping around on top of that. If you're a first-time homebuyer, you want to spend at least 2-3 months researching mortgages and your local housing market before putting in an offer, just so you know what you're getting into. So figure on at about 3-6 months in most cases, though of course you can always take longer if you're not in a hurry. So how to purchase a home? Here's a step-by-step look at the home purchase process. How much do you want to spend? How much can you spend? Determining your price range is the first step in purchasing a home. Lenders generally don't want to see more than 31percent of your gross monthly income going toward your mortgage payments, which include homeowner's insurance and property taxes. No more than 43 percent should go toward debt payments of all kinds, though there is some flexibility for borrowers with good credit. This is called your debt-to-income ratio. There are a variety of mortgage calculators you can use to determine how much you can borrow – see the column at right. Some will figure the monthly payment required to buy a home of a certain value; others will tell you how much you can borrow with a certain monthly payment. Many calculators will also take into account the amount of your down payment and potential closing costs. Figure at least a 3.5 percent down payment for a first time home loan, which is the FHA minimum, though a larger down payment may get you better terms. Putting at least 20 percent down will allow you to avoid additional charges for mortgage insurance. You also want to take into account closing costs, which typically run about 3-6 percent of the home price. As the buyer, you don't have to pay a real estate commission – that's charged to the seller. You can request that one or more lenders provide you with an estimate of how much you can borrow, based on information about your credit and financial status. This is called getting prequalified for a mortgage. You can contact individual lenders directly or you can use a form such as the one at the top of this page to request quotes from multiple lenders. In figuring your budget, remember to account for what you'll spend on home maintenance and repairs. About 1 percent of the purchase price per year is a good rule of thumb. Remember that just because a lender will approve you for a certain amount to buy a home, doesn't mean you need to spend that much. Figure out what makes sense in your budget and leave yourself some breathing room. If you've never bought a home before, you may be wondering about special loans for first-time home buyers or first-time home buyer loan requirements. Most lenders offer some sort of first-time home buyer loan programs. Not all of these are limited to first-time buyers, many simply have features like low down payments or lenient credit requirements that make them particularly suited as first-time home loans. Requiring only a 3.5 percent down payment, FHA mortgages have long been one of the most affordable loans for first-time home buyers. With relatively lax credit requirements and rates that tend to be more favorable than conventional loans for borrowers with lower credit scores, they're also a good choice for first-time home buyers with bad credit. VA loans are one of the few options out there for a first-time homeowner loan with no down payment. They also offer attractive rates and in some cases, additional financial assistance is available as well. However, you must be a qualified veteran or active duty member of the U.S. armed services to be eligible, or must be in one of several other eligible categories, such as the surviving spouse of a veteran. Both Fannie Mae and Freddie Mac, the agencies that back what are commonly called "conventional mortgages," offer several mortgage programs allowing as little as 3 percent down for borrowers with good credit. Some of these are specifically designed a first-time home loans and have features designed to make them more accessible to first-time buyers. First-time home buyer rural development loans are backed by the USDA (U.S. Dept. of Agriculture) and require no down payment or mortgage insurance. These are need-based loans for borrowers of modest incomes who presently lack adequate housing. They are limited to home purchases in rural areas, although the definition of "rural" includes many suburbs and small -to-midsize communities. Though not actually loans, there are many programs that offer financial assistance toward the purchase of a home for qualified first-time buyers. These are often in the form of loans or direct grants to help with down payments or closing costs. For more information, check with the housing agencies of state and local governments, or the U.S. Dept. of Housing and Urban Development (HUD). Getting to know your local real estate market is an essential part of the home purchase process, particularly if you're a first-time homebuyer. Spend a few weeks checking listings and attending open houses of homes for sale to get a sense of the real estate market in your area and what you can buy for a given price. It'll also make you a better negotiator when you put in an offer on the home you want. It's a good idea to start touring homes before you're ready to start shopping in earnest. Some people will put in an offer on the first home they find that's to their liking, but there's a great risk of overpaying if you do that as a first-time buyer. Touring homes will also give you a change to meet with the real estate agents showing the properties, giving you a chance to size them up as well. If you find one who impresses you, you may want to ask if they'll represent you as a buyer's agent (see below). You want to find a lender before you start looking for a home in earnest. You don't want to find the perfect home, then lose it because you're scrambling around trying to line up a lender while somebody else waltzes in with a preapproved loan. Compare loan offers from at least three lenders and preferably more. Don't just focus on the mortgage rates lenders are offering – the APR, or annual percentage rate, usually is a better indication of the true cost of a loan. By law, it must be listed along with the mortgage rate in any promotion or rate offer. Most mortgage lenders offer loans for first-time home buyers. Some of these may be for first time buyers only, while others may simply have features like low down payments and relaxed credit standards that make them attractive as a first time home owner's loan, but are available to other borrowers as well. Once you've narrowed your choices down to a few lenders, you should get prequalified. This means providing information about your finances, credit and the amount you wish to borrow to a lender and they give you an estimate of how much you can borrow and the rate and APR you'd be charged. You can get prequalified by several lenders and compare their offers. This gives you personalized quotes for what they'll lend and charge you based on your borrower profile, rather than a generic advertised rate. You shouldn't have to pay a fee for this or have to commit to a specific lender. 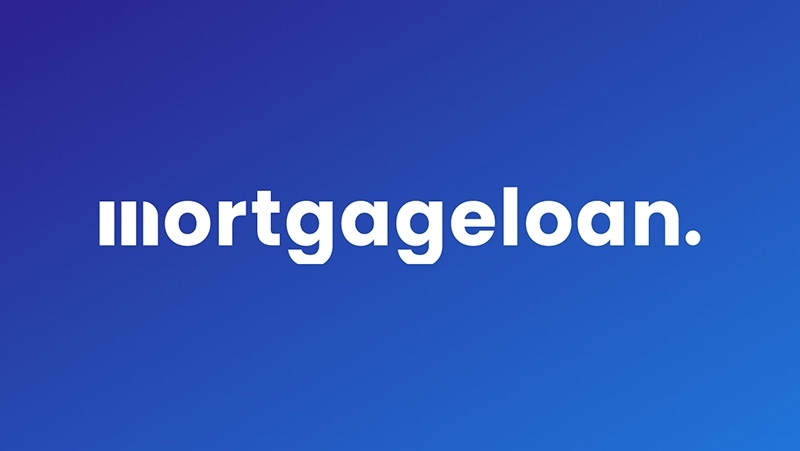 The rate quote form at the top of this page performs a similar service by providing rate and loan quotes from multiple lenders based on your profile. Once you've chosen a lender, you should get preapproved, which is a more advanced step and is covered next. Before you start shopping for a home in earnest, you should get preapproved for a mortgage. This is a more advanced step than getting prequalified, described above, and involves submitting an actual mortgage application with supporting documentation such as W-2 forms and allowing the lender to obtain your credit scores. You may pay a small fee as well. This allows the lender to make an official determination as to whether you qualify for a mortgage and how much you can borrow. If you qualify, the lender will then provide you with a letter attesting to that fact that you can show to a home seller as evidence of your ability to obtain a mortgage. This gives you an advantage when making an offer over borrowers who have not been preapproved. Some borrowers wonder if they should lock their rate when they get preapproved. Locking your rate means you lender commits to honor that day's interest rate for up to a certain length of time, often 60 days. This usually isn't a good idea. You don't know how long it will take you to find a home and get your offer accepted, and after that it can easily take 4-6 weeks to close the sale – by which time your rate lock may have expired. Usually, you don't want to lock your rate until you have a home selected and an offer accepted. You can then lock your rate for 60 days or so to ensure it doesn't go up during the time it takes to close the loan. One of the biggest challenges to home ownership can be coming up with the down payment. However, if you have a retirement plan at work, you can borrow up to $50,000 from your 401k (or half your account balance, whichever is less) for use as a down payment on a first-time home purchas.By taking a 401k home purchase loan, you don't have to pay taxes on the amount and avoid the usual early withdrawal penalty as well.However, you do have to pay the loan back – with interest. The good news is you're paying the interest to yourself, since you're repaying your own 401(k). The bad news is you can't deduct that interest on your taxes, as you would with the interest on the mortgage itself. One thing to be aware of is that your loan payments repaying your 401k will be counted as debt for purposes of qualifying for the loan. So you'll not only have to be making those payments on top of your mortgage, but if your 401(k) home purchase loan pushes your total debt load above 43 percent of your gross monthly income, it could disqualify you from getting a mortgage in the first place. You may be able to take a one-time hardship withdrawal from your 401(k) for a down payment as a first-time homeowner, but the amount you withdraw would be fully taxable and you'd have to pay a 10 percent early withdrawal penalty if you're younger than age 59½. Using an IRA for a home purchase is another option. With a Roth IRA, you can withdraw any amount of your contributions without penalty, taxes or having to repay it. You also withdraw up to $10,000 in earnings tax-free toward the purchase or improvement of a first home, provided you've had the account at least five years. With a traditional Roth IRA, you can withdraw up to $10,000 toward the purchase or improvement of a first home without penalty, but you do have to pay taxes on the amount. Once you're preapproved, you can start looking at homes you might actually want to buy. Your buyer's agent will be helpful at this point, finding homes that match what you're looking for, setting up visits and assisting you with the process of putting in an offer. Once you find a home you like, you should put in an offer fairly quickly. That's particularly true if the home just came on the market, in which you may want to make an offer on the spot. Interest in new listings is high, and if you're in a hot market or the home is priced attractively, any hesitation may allow another buyer to get the jump on you. If a home has been on the market for awhile, you have more leverage in negotiations over price and the terms of the sale, such as who pays for what fees or any repairs or improvements you may want the seller to make. With a newly listed home in hot market, on the other hand, you may actually have to offer more than the asking price to outbid other interested buyers. Again, this is where spending time to become familiar with the local housing market pays off. It's also where your buyer's agent can be helpful as well. The home purchase agreement, or contract, sets the terms of the sale. It not only specifies how much you agree to pay, but also details the obligations of both the buyer and the seller. For example, you may require that the seller make certain repairs as part of the deal. In addition, any furniture, major appliances, outdoor equipment or other personal property to be included as part of the sale should also be listed in the home purchase contract. The home purchase contract should also require that the home passes a pre-purchase home inspection. That way, if it turns out the home has major problems like termites or a cracked foundation, you can still back out of the deal or renegotiate the terms. The home purchase agreement will specify when the current owner must vacate the property and how soon you, as the buyer, must have final approval of your mortgage. It also spells out who is responsible for paying each of the various fees involved in the transaction. Certain fees are usually assumed to be the responsibility of either the buyer or the seller, but others may be subject to negotiation as part of the sale. Once you have a signed home purchase contract, it's time to submit your loan application. Fortunately, since you were preapproved, you've already provided much of the information your lender will need to process your application. At this point, it's a good idea to lock your interest rate to guard against the possibility mortgage rates might rise by the time you close your loan. Many lenders will offer a provision that allows you a one-time relock if market rate drop by a quarter percentage point or more before you close the loan, so you're protected if rates go down as well. Expect it to take about four to six weeks for your loan to be processed and approved. During this time, the lender will not only be checking your credit and finances, but will be investigating the home as well, conducting an appraisal to ensure it's worth enough to support the loan, making sure there's a clear title and no problematic liens, and the like. Once that's completed, you're ready for the closing. The closing is when you actually go through the official process of purchasing a home. You'll sign a ton of documents that will transfer ownership of the property to you while at the same time finalizing the loan arrangement to pay for it. The closing is when you'll write a check to pay for your closing costs and hand over a certified check for your down payment. At least three days prior to closing, you should receive your closing disclosure, which details the terms of your mortgage, including the interest rate, closing costs, taxes to be paid and a breakdown of all the fees you're being charged. You should also receive your other closing documents in advance as well. Look these over carefully to make sure all the terms are as promised – once you sign, you're committed to them. You may not take possession of your new home immediately, unless it's already vacant. Often, the home purchase agreement sets a date a few months in the future when you take possession, giving the seller time to finalize the purchase of their new home and move in. Excellent (760-850)Good (720-739)Fair (680-699)Poor (580-659)Don't know? Find out! Compare Loan offers in Minutes!